In accordance with the provisions of the Russian legislation, the defendant is entitled to acknowledge the claim, in whole or in part. For the design of such recognition it is important to know the requirements of the law. 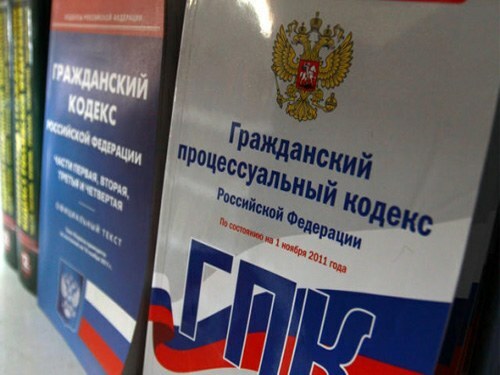 Civil procedure code of Russia describes in detail the rights and obligations of the parties and third parties. One of the rights of the defendant and the third party is the recognition of the claims asserted by the plaintiff. Acceptance of the claim may be full or partial. And that, in either case, it is important to properly execute it is the will of the defendant. Partial recognition of the claim to the civil process, but before the departure of the judge in a consultative room for the resolution of the verdict. Once the decision is made to admit a claim does not make sense, since the requirements have been satisfied (or, conversely, a claim denied). The law does not contain clear requirements on how the fixation occurs recognition. But there are rules of drawing up court records and established some jurisprudence. • Partially accept the claims can be orally. In this case, the statement of the defendant or a third person is entered in the record of the hearing. Face, recognize the requirements, put this record under his signature and date. • Not ruled out writing the proceedings. The defendant on his behalf makes a statement and addresses the judge hearing the case. The details of the document should contain information about the participants (name, surname, addresses and procedural status), and request for partial acceptance of the claim. The application is written in advance and presented at the hearing or served in advance of the court registry or by mail. • You need to specify which part of the declared requirements. For example, the amount of the claim is 80,000 rubles, and the defendant agrees to pay 50,000 rubles. This means that he recognized the demands of the part, in the amount of 50,000 rubles. Agree with the part of the claim is allowed and the representative hand, if the power of attorney provided by the appropriate authority. Not every claim is acceptable. The court is allowed to take a partial recognition of the claim if it is legal and does not affect the rights and interests of others. For example, filed a suit for eviction of the former spouse and child. In this case, the judgment of divorce, the child entrusted to the care of the mother. Wife claim partially admitted and was willing to move out from their housing. The court may not give their consent as this will violate the rights of the child, who has the right to live and grow up with her mother. Therefore, the courts carefully examine the validity and legality of the consent of the defendant or a third person with a claim and only then accept this recognition. If the court accepted the partial recognition of the claim, the decision he has the right to refer to this fact and to motivate the verdict in this part. The will of the defendant does not terminate the proceedings on the merits and does not affect the allocation of costs.